Two Homewood businesses received bomb threats on Thursday, Dec. 13, but police said the threats do no appear to be credible. Both threats were delivered via email and contained a demand for payment, according to Homewood police. Police received the first report at about 1:15 p.m. regarding a threat against a business in the 18800 block of Dixie Highway. At 1:55 p.m. another threat was reported regarding a business in the 3200 block of 183rd Street. 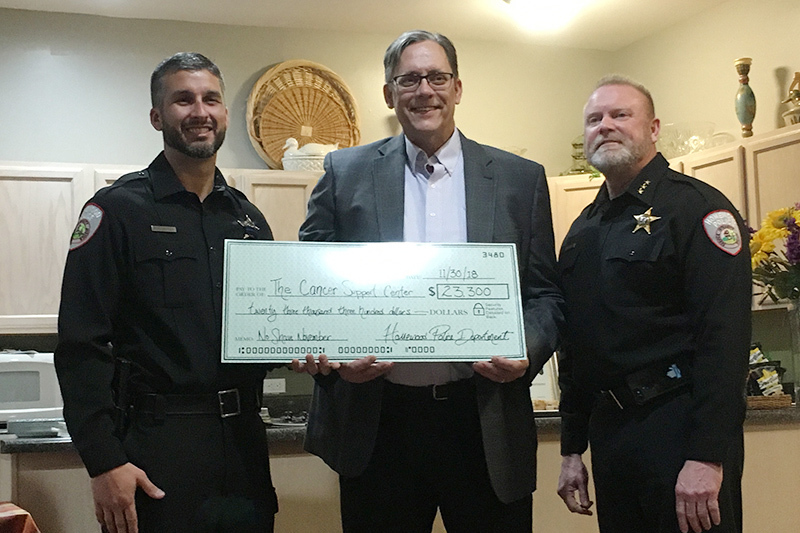 Homewood police officer Steve Brandenburger, left, and Homewood police chief Bill Alcott present a donation check to Jim Kvedaras, president of the Cancer Support Center Board of Trustees. Homewood police officer E.J. 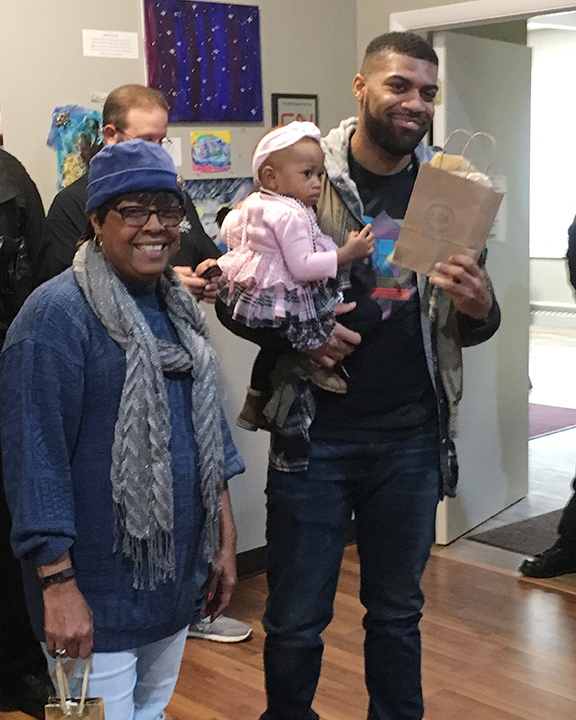 Dorsey, holding his 1-year-old daughter, Piper, won Best Beard in a contest judged in part by Cancer Support Center volunteer Dorothy. 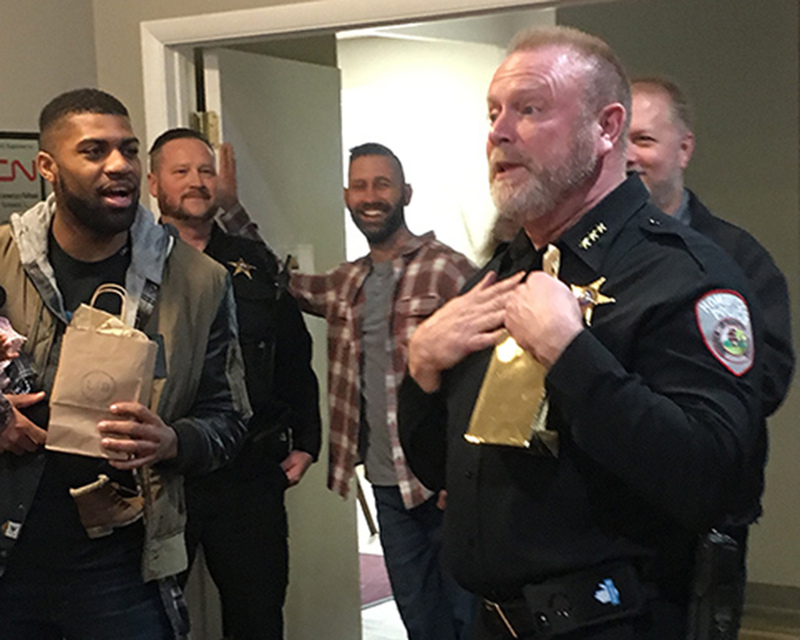 Homewood Police Chief Bill Alcott was given the Worst Beard award to bestow on one of his officers. Homewood deputy chief Denise McGrath, left, was the lone female officer in the No Shave fundraiser. Cancer Support Center development director Rachael Kemnic thanks Homewood police officers for their month-long donation drive. 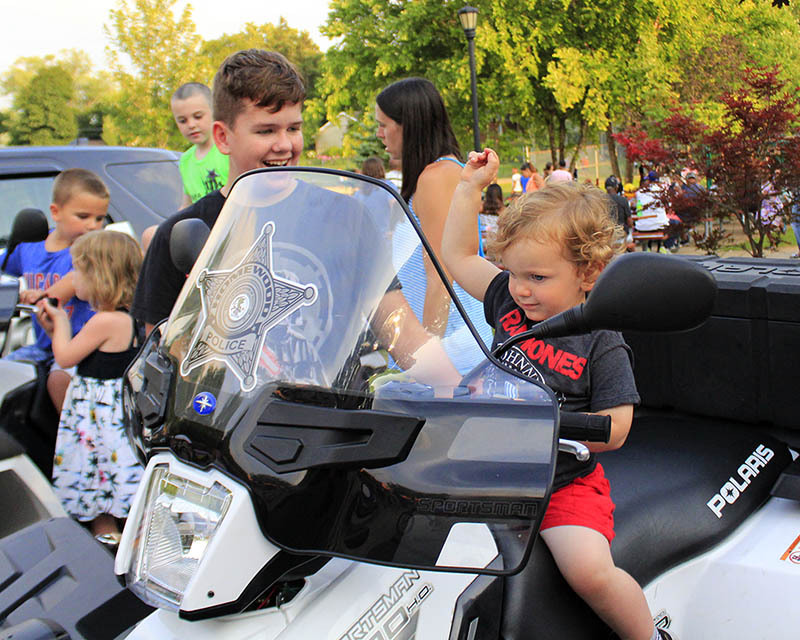 Cancer Support Center hosted a small reception for Homewood police officers who raised money. 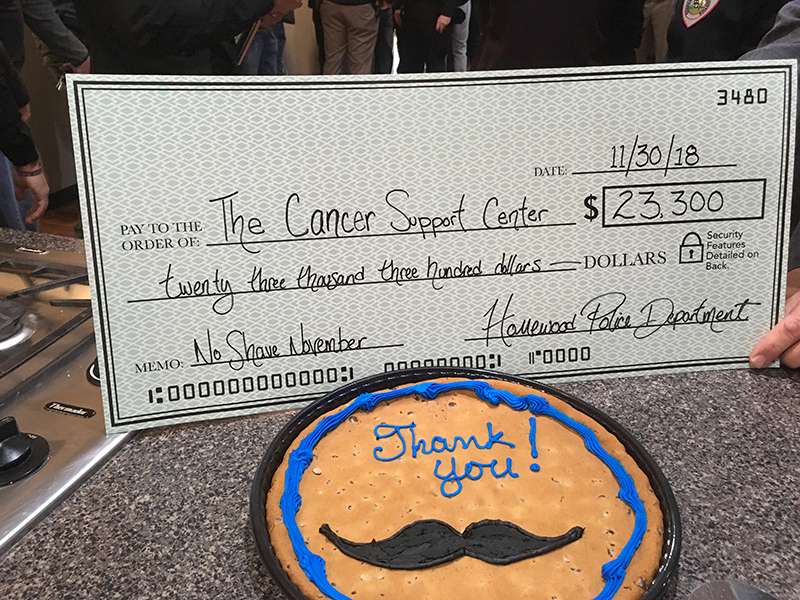 Thirty-five Homewood police officers raised more than $23,000 for Cancer Support Center in just one month. 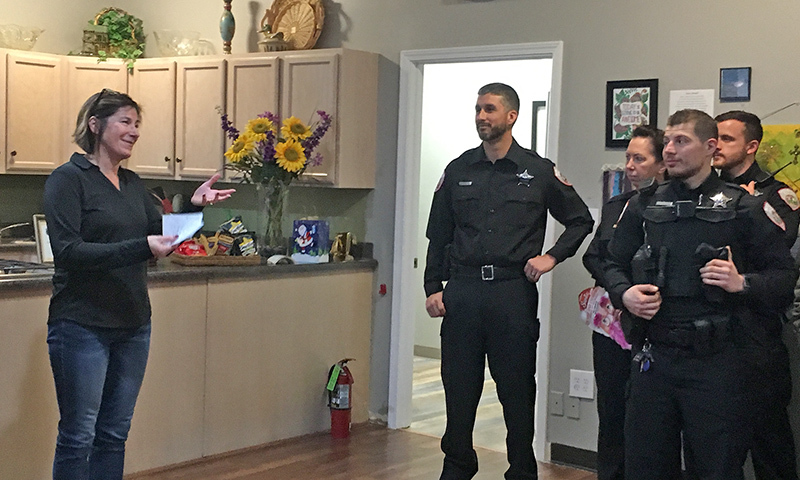 Homewood police officers visited their neighbors across the street Friday to present Cancer Support Center with a check representing a donation of more than $23,000. Thirty-five officers collected donations over the last 30 days as part of a No Shave November fundraiser. Homewood police are investigating a Tuesday night carjacking on the village’s north end. According to a media release from the Homewood Police Department, officers responded to a report of a carjacking at 9:33 p.m. Oct. 16 in the 17600 block of Briar Ave. 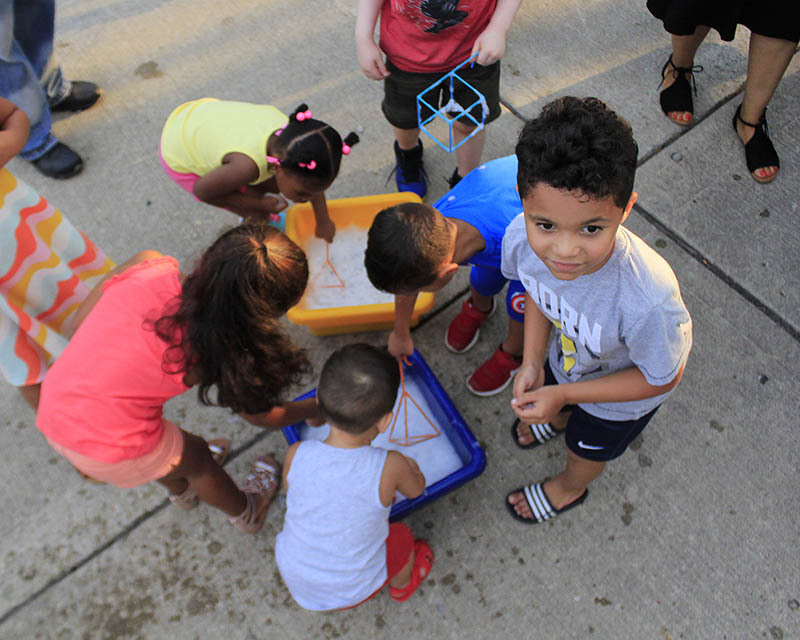 The village of Homewood is celebrating the 125th anniversary of its incorporation this year. This is the third in a series of articles that shed a little light on life and times in the village’s early years. In this article, local historician Jim Wright looks at the founding of the village's police and fire departments. 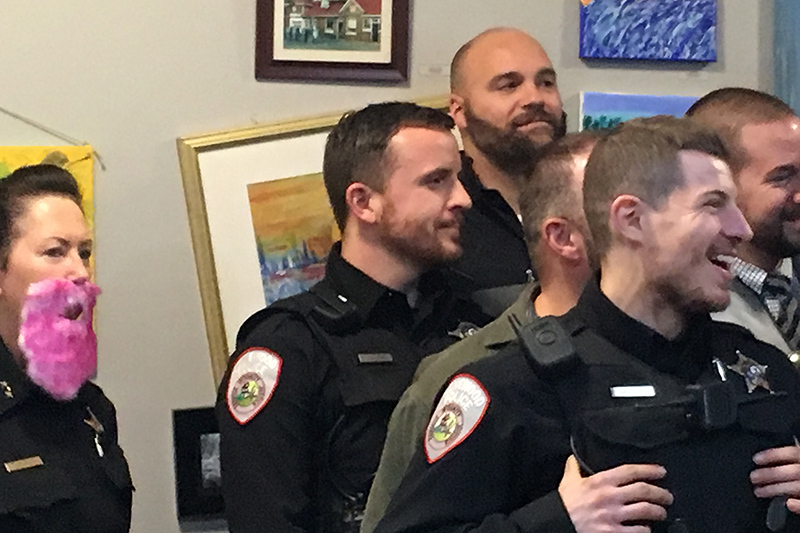 A two-year effort to increase the ranks of Homewood police officers was satisfied with the swearing in of Jason Johnson at Tuesday’s village board meeting. Johnson started with the department Aug. 2. 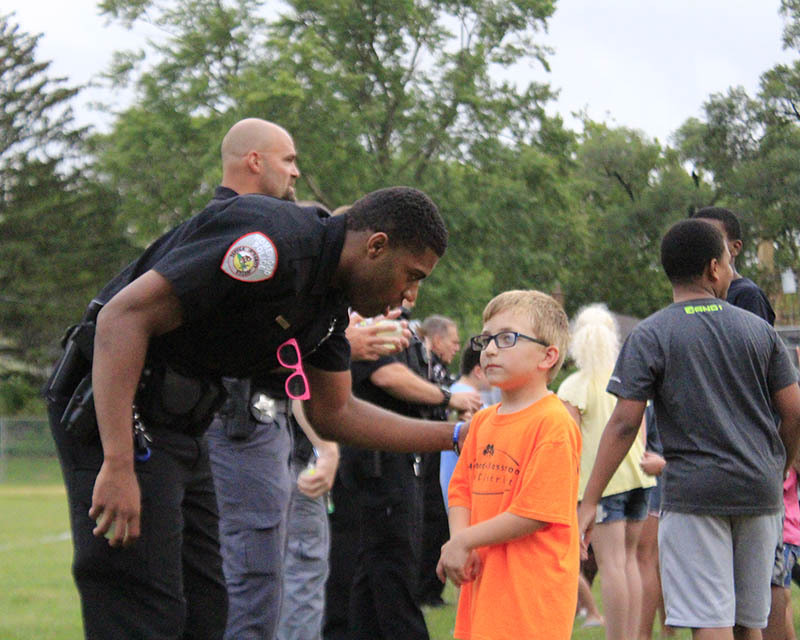 Homewood police officer Ephraim Dorsey offers some advice to his partner prior to the water balloon toss contest at National Night Out in Homewood. 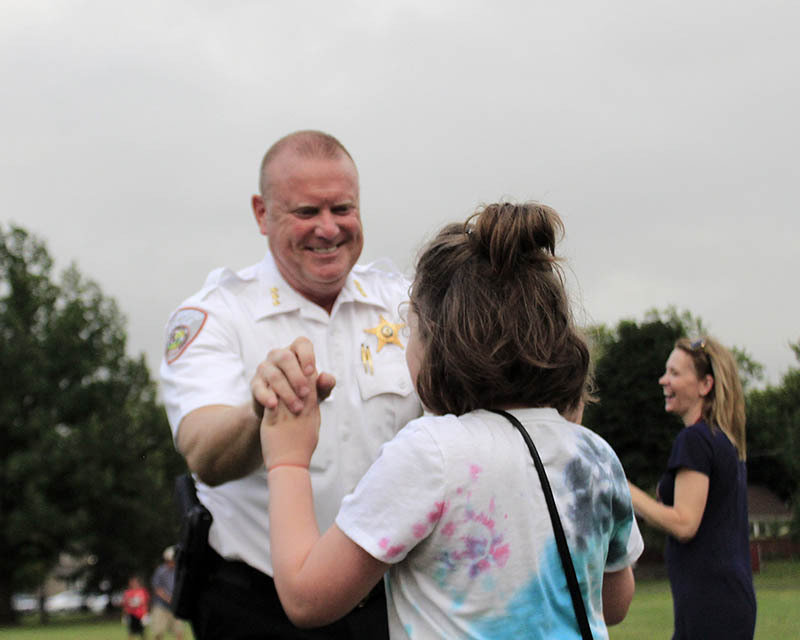 Homewood Police Chief Bill Alcott high fives his partner in the water balloon toss. 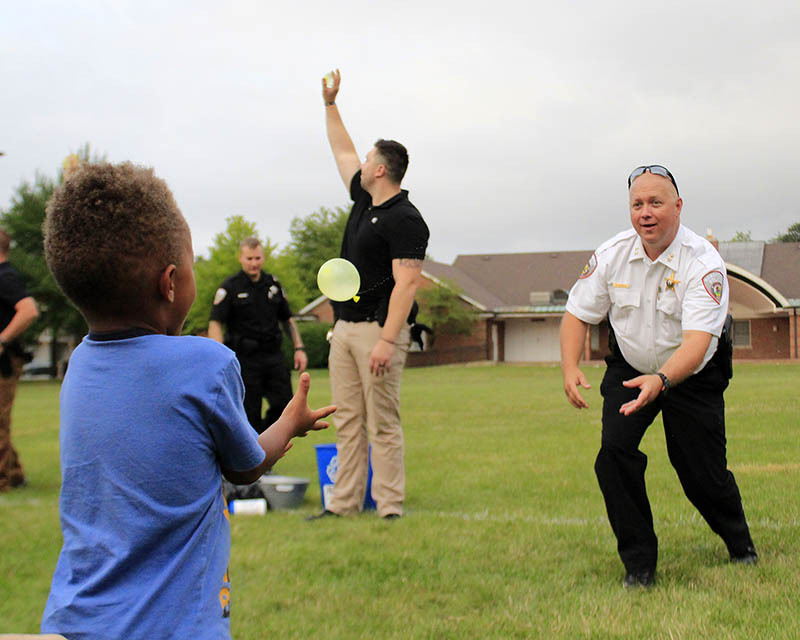 Homewood Deputy Police Chief Rick Sewell tosses a water balloon to his partner. 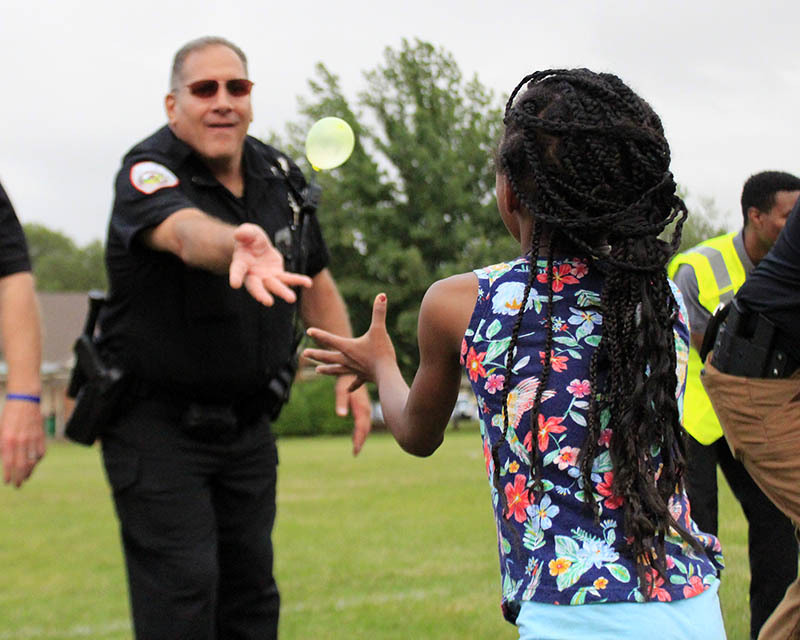 Homewood officer Dave Lux tosses a balloon during National Night Out. 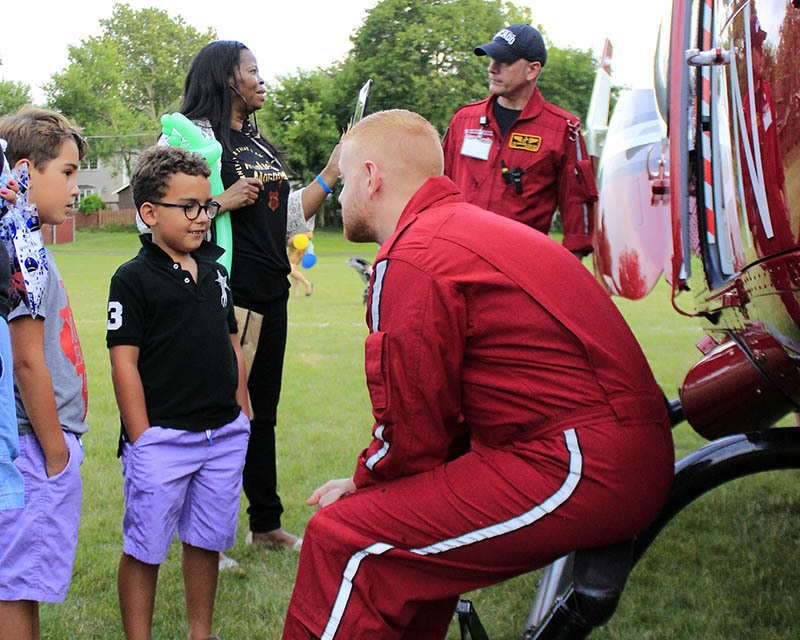 Flight physician Hani Kuttab, right, talks about his work with Max and Alex Marlo of Homewood. 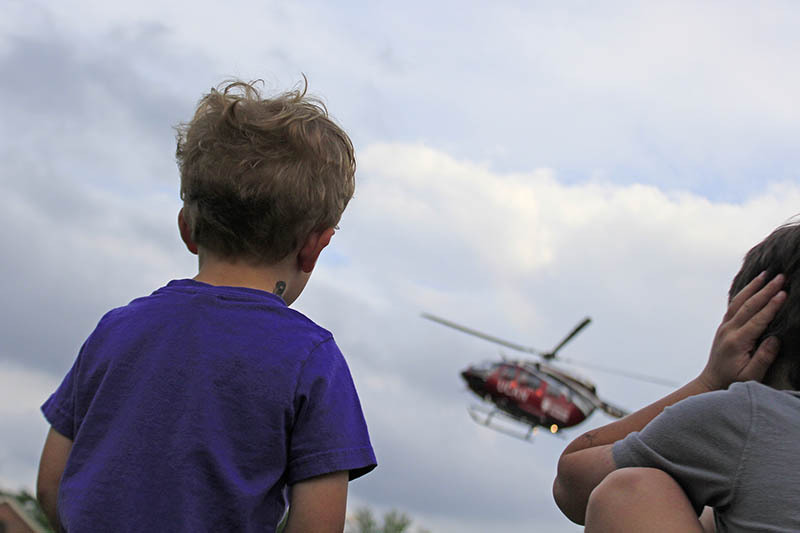 Cole, left, and Ethan Westerhoff of Homewood watch the UCAN helicopter come in for a landing. 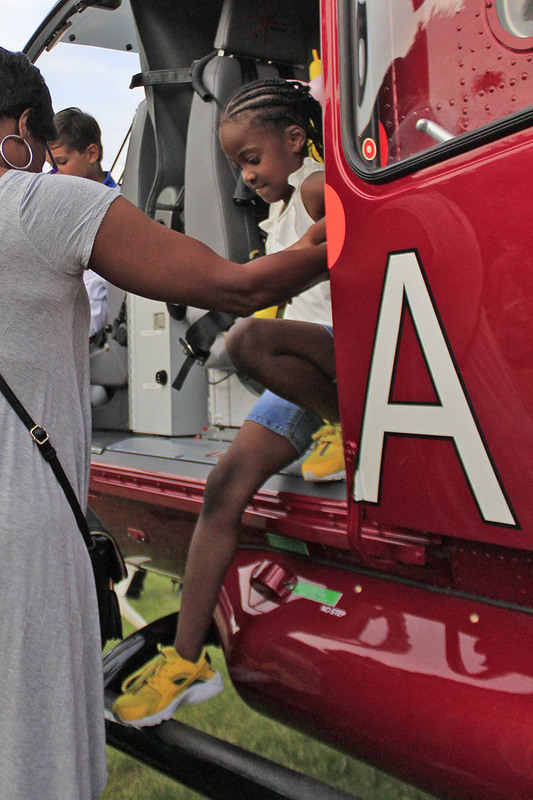 London Polk of Homewood climbs down after taking a look in the UCAN helicopter. 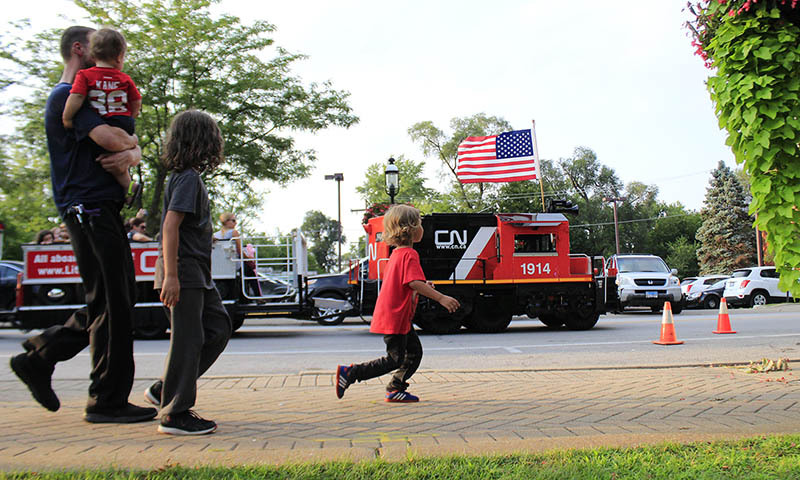 CN Railway's Lil' Obie gives rides during National Night Out in Homewood. 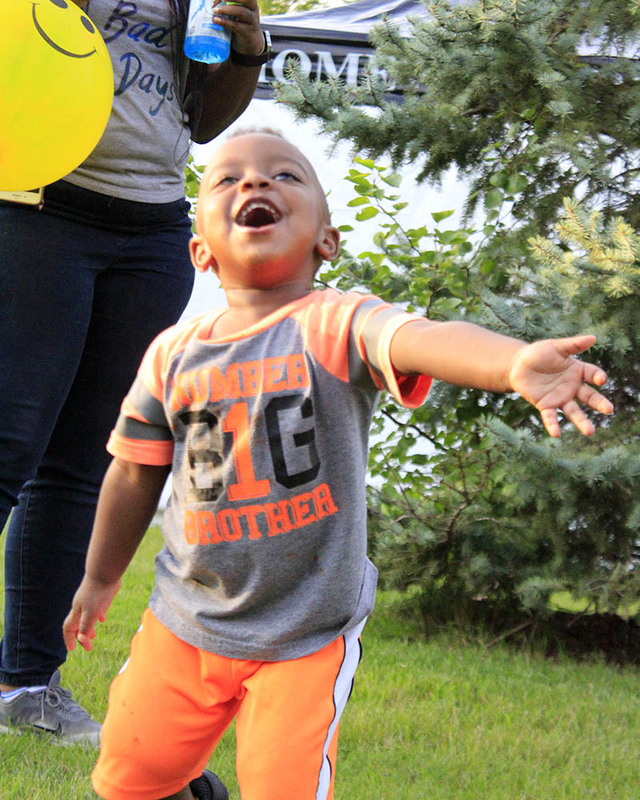 Ricky Wiggins of Hazel Crest chases a bubble blown by his mom. Dylan Parry, left, looks on as Ash LaBreck takes a turn in the driver's seat. 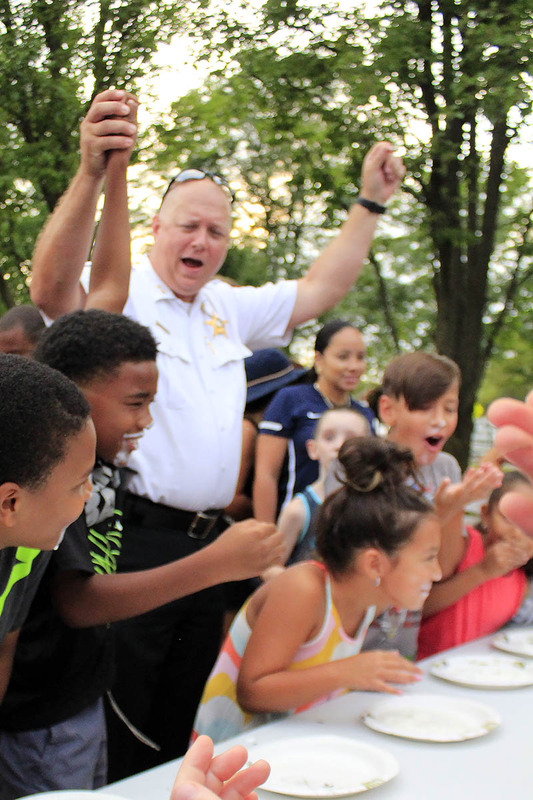 Deputy Chief Rick Sewell declares Joshua Johnson of Homewood as the victor in the first round of the ice cream eating contest. 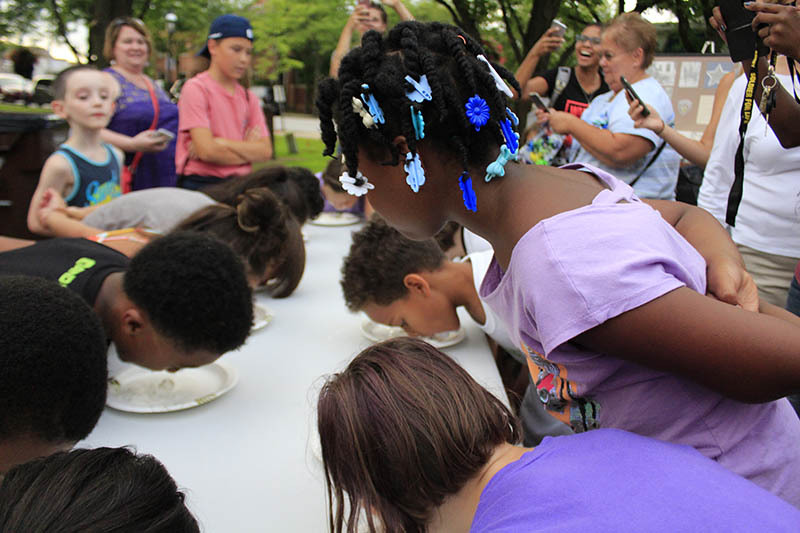 Kids dive in to plates of ice cream. 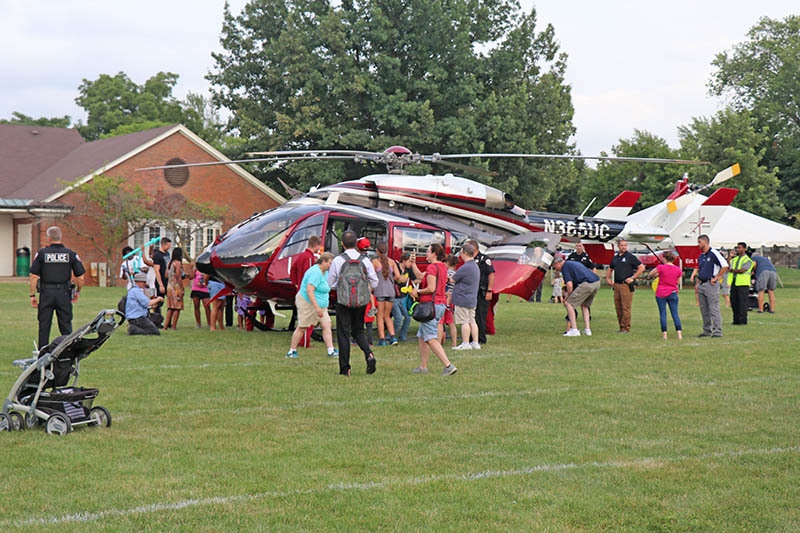 There was a heavy police presence at Homewood’s Irwin Park Tuesday evening. 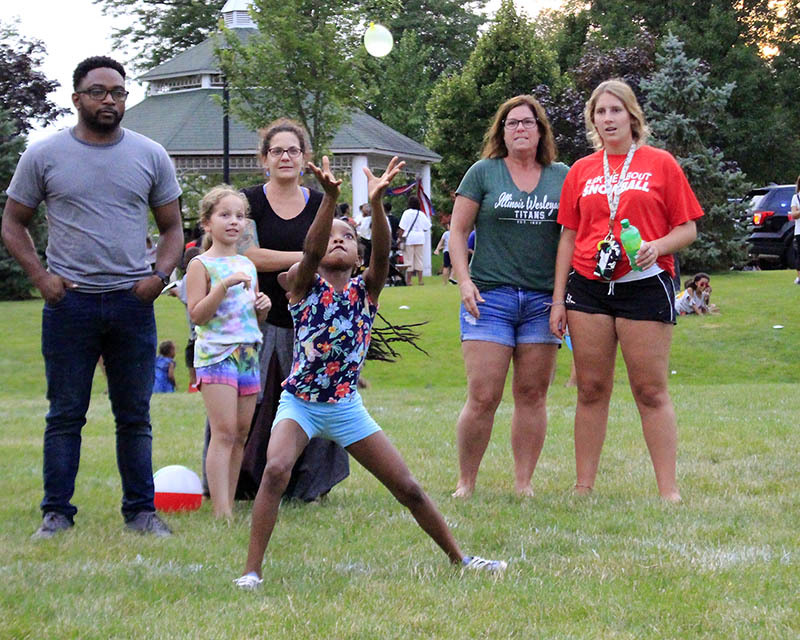 There was also a heavy kid presence, and when the two groups met on the field armed with water balloons, there was also a lot of laughter. 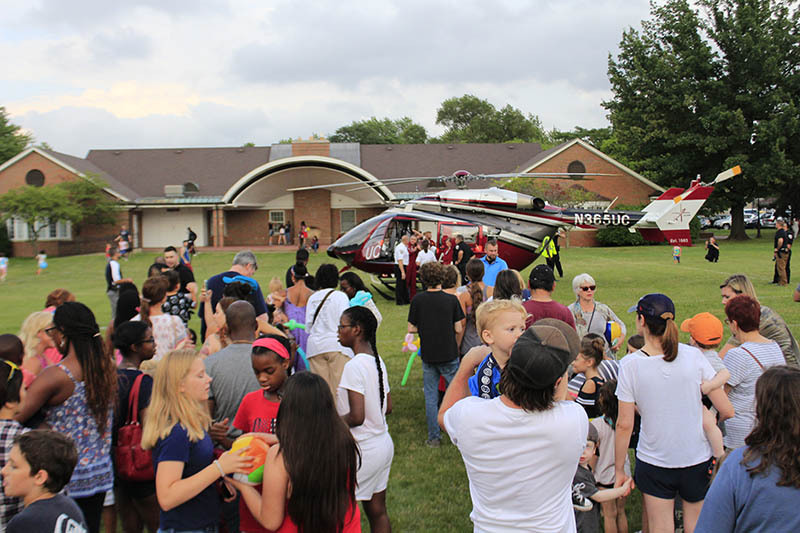 The occasion was the annual National Night Out event hosted by the Homewood Police Department as an opportunity for residents to meet and mingle with officers under relaxed and social conditions. 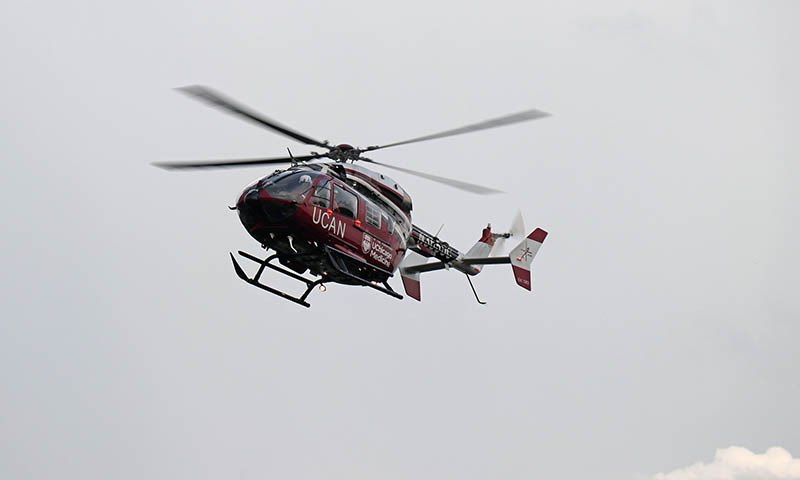 A Steger man died Saturday when his motorcycle collided with a passenger vehicle in the 18200 block of Halsted Street in Homewood. 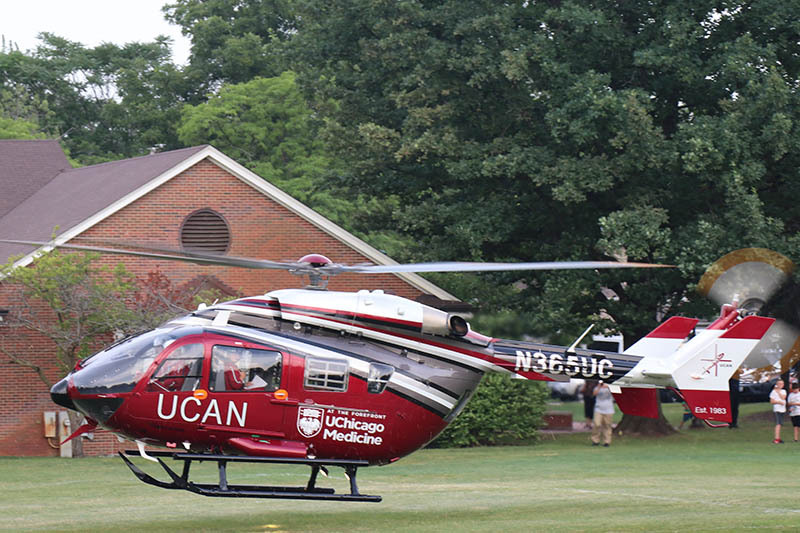 Kyle J. Ladewig, 37, was pronounced dead at Christ Hospital, according to the Homewood Police Department. A driver died Thursday in a car crash at 183rd Street and Park Avenue, just west of the railroad viaduct in Homewood. Police responded to the accident at 10:07 p.m. on July 5. According to a press release issued by the Homewood Police Department, responding officers located a single vehicle that had crashed into a cement wall on the south side of 183rd across from Park. Homewood police responded to a report of possible gunshots Thursday night on the 18400 block of Clyde Road. At 8:38 p.m., officers investigated the incident at a home on Clyde and discovered a bullet had shattered a window in the front of the residence, according to a press release. No injuries were reported.